Want to see a sample of our books? Click on the icon above. Orbit Creative has a creative and publishing division that is solely dedicated to forging creative partnerships between venues and the service professionals they collaborate with in the $53 billion wedding/event business. Our Signature Venue Books are custom-designed to reflect the offerings and personality of the individual venue and are supported by the “Professionals” service guide in the back portion of each book. Wildly popular with the wedding and special event venues, these 16-20 page books are the perfect opportunity for the venue to receive a high quality, 4-color print publication, as well as a digital flipbook version, at no cost to them, as it is supported by the professionals that understand this co-marketing opportunity by advertising in this custom and targeted publication. This marketing vehicle is the ultimate venue showpiece, and places the professionals’ service offerings in the hands of the consumer at the most optimal point in time – the point of purchase consideration for their event. The venue will not be disappointed in receiving such a high quality marketing piece to distribute to their prospects and clients, in print, and digital format, as they can post it on their web site for download and viewing and send it to prospects near and far, via an email link on a dedicated server. The professionals that advertise will have active links within the digital book to their business, directly from their display ad, as well as in the directory listing, which is detailed by category. All digital books are created in the latest software so they can be viewed on all devices. We believe our model and quality exceeds other publications that are in the marketplace. We have brought over 40 years of best-in-class design and marketing experience, and combined that with a storytelling component that connects with all prospects, where they are. Producing only the highest quality piece, while offering professional businesses advertising rates that are reflective of co-marketing opportunities that maximize cost-conscious marketing budgets, allows our clients to outsmart without outspending the competition. We also create Signature Books for the real estate market. These guides are a unique way for real estate agents to truly maximize their marketing potential and for professionals in the home marketplace to get directly in the hands of consumers at that essential point in time – when they are considering a home purchase. Our Signature Books also have the capability, in digital format, to feature a video component, many of which we create through our video production capabilities. 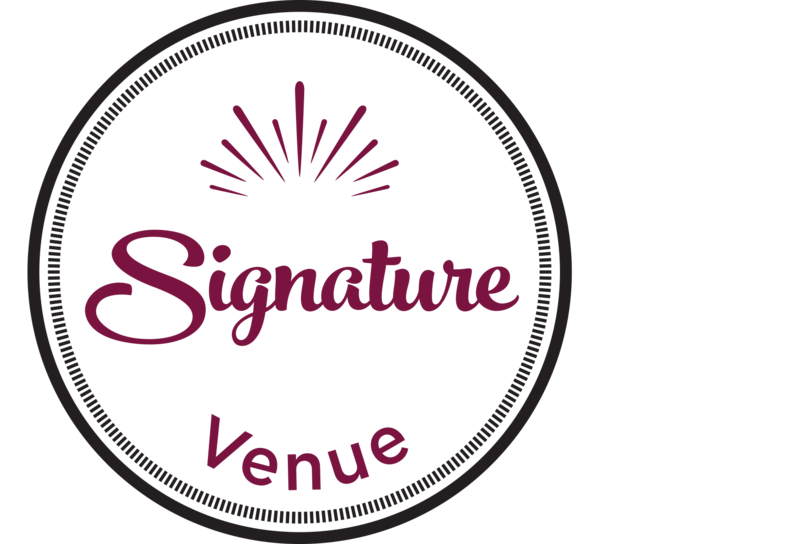 To view a sample of our Signature Venue Book (in a digital format with a video component), click on the icon at the top of this page. There are additional books on our Clients page. To learn more about the Signature Books, or to order a Signature Book, please give us a call or complete the Contact Us form.